It's no secret that I adore Halloween. In fact, on my list of favorite holidays, it ranks at the tip top and well surpasses Christmas. What can I say? I was born just two days before All Hallows Eve, and as a certified Scorpio through and through, I can think of no better holiday than one where strangers gift you with free candy and Hocus Pocus airs on repeat all season. Because I love Halloween so much, I usually get a head start on decor around my house. I start small with displaying pumpkins here and there, and before you know it, there are witches and ghouls all over the place. This year, I scoped out the Halloween home decor at some unsuspecting places and found a few favorite new items at Yankee Candle. 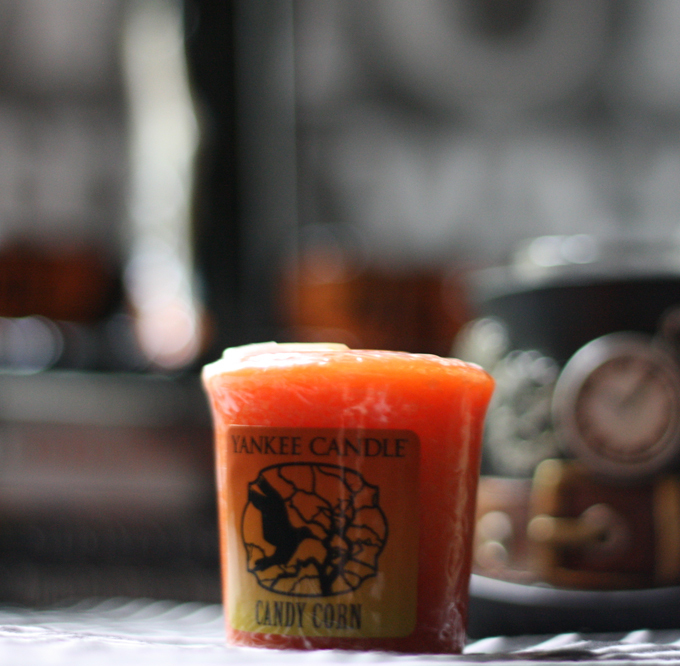 Halloween candles inspired by treats like candy corn? Say no more. The beauty of Halloween decor is that the color scheme is always consistent, so you can build your collection over time. With shades of purple, green, orange, of course, black, you can mix and match everything without creating a hodgepodge look. 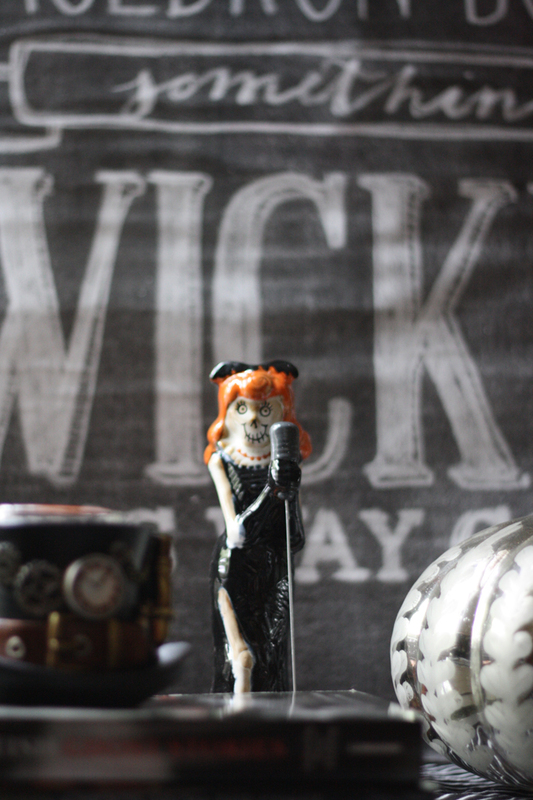 I was able to pull out a few old favorites like the chalk-board wicked sign and complete the look with a few new finds from Yankee Candle. 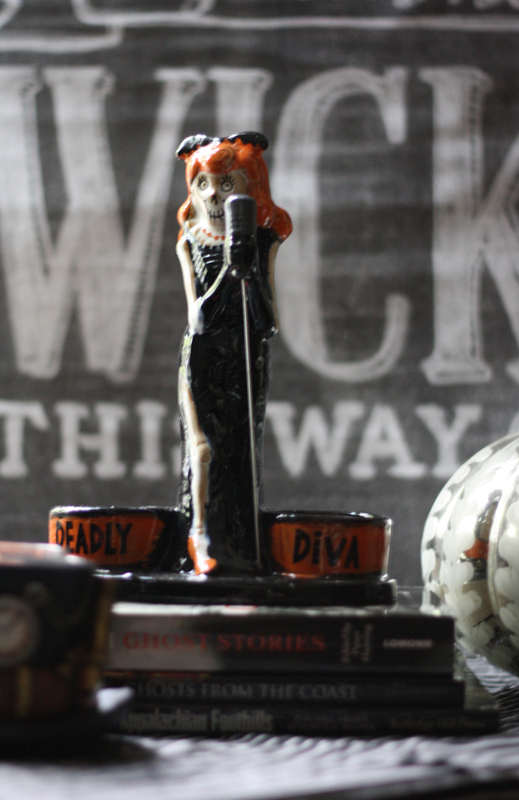 I paired my Deadly Diva tea light holder, who is described as "a sultry songstress with cold-hearted intentions" (too cute), with an adorable Steam Punkin hat, a watchful sequined owl, and a beautiful mercury glass pumpkin. These items look great together, and I love seeing my collection grow over time. 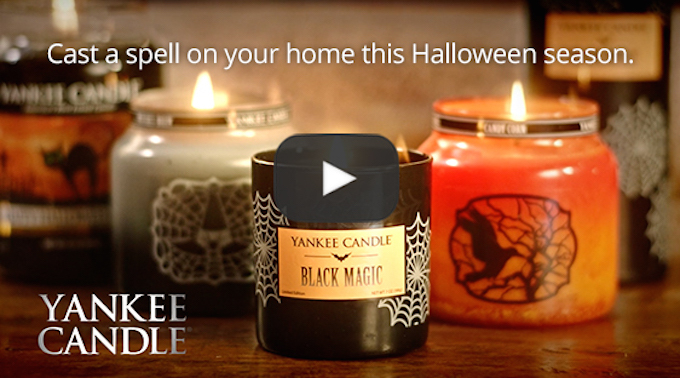 For a limited time, Yankee Candle is offering you the chance to get a buy one, get one free coupon just for taking 30 seconds to watch this freakishly good video all about decorating your home for a frightfully fun Halloween season. Just click the image below to watch! I love the silhouette haunted house seen in the video and will most definitely be adding that piece to my decor, too! After all, Deadly Diva has to have somewhere to sing her soulful songs. Naturally I had to give my collection of travel ghost story books some air time in today's posts. I've been collecting ghost stories from all over the world at each haunted location I visit. While I'm the first to admit that I'm a total scaredy cat when it comes to stories like these, I also appreciate folklore and history behind the tales. 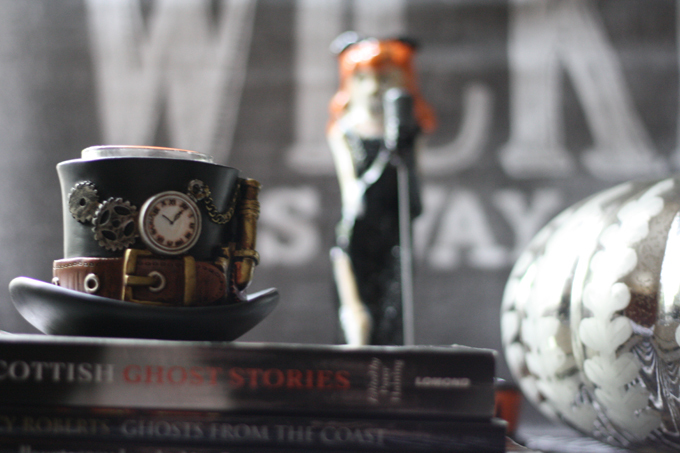 I have an entire shelf dedicated to ghastly tales on my office built-ins...which is exactly where you'll find the rest of my Yankee Candle Halloween decor as Halloween continues to approach. As you start to see Halloween items here and there in stores, don't hesitate to head to Yankee Candle for all of your decor needs. After all, you have that buy one, get one free coupon practically burning a hole in your pocket, right? 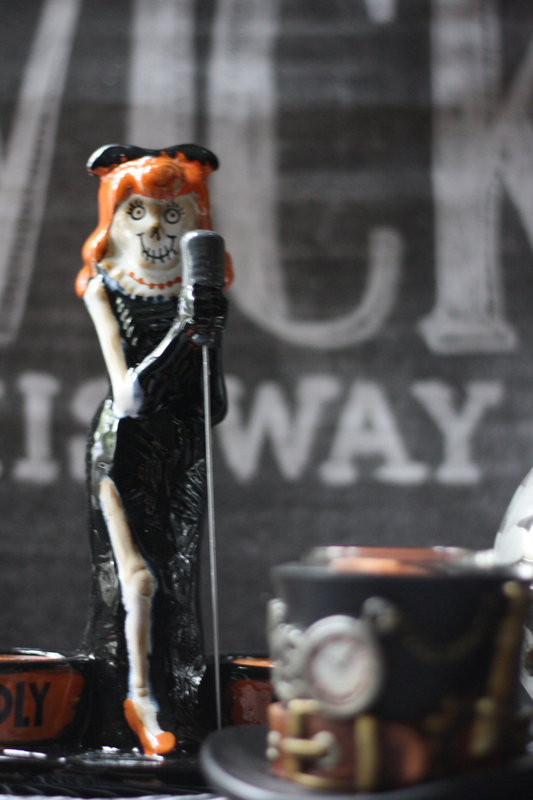 Check out my other Halloween decor posts here, and learn how to host a bewitchingly fun Halloween wine tasting party here. In the meantime, enjoy prepping for Halloween!